Journey through fashion history in this lavishly illustrated picture book, from Romans draped in togas to Elizabethans in lace ruffs. 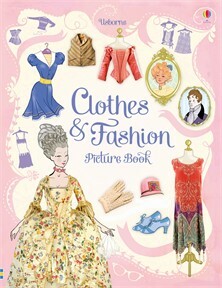 Fashions of the past are brought to life with detailed facts, photographs and illustrations. With contents and index pages for easy reference, plus internet links to specially selected websites with more information.